1. 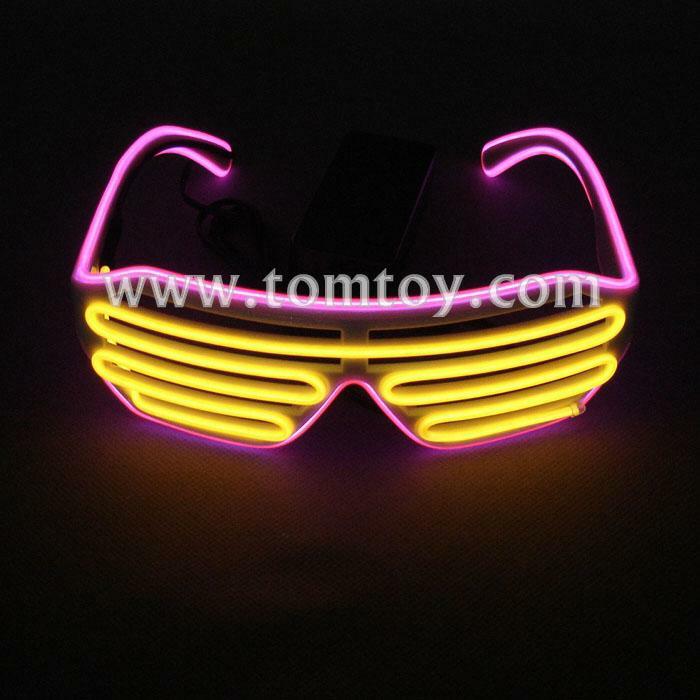 Our glasses come with a white frame and Yellow & Pink EL wire, so they are perfect for night time. 2. Sound activated features 3-mode,fast flashing, slow flashing and steady on. Battery pack uses 2*AA batteries, giving you 8-24 hours of light per set of batteries! 5. Great for Nightclub, Concerts, Clubbing, Parties, Special Events, Advertising,and the best Promotional Gift for your brand!